Still, plaintiff alleges some would-be guests have opted not to stay at its lodge because of the proposal for the shop. Specifically, there have been concerns expressed about the potential for crime. In its complaint, the hotel argued federal law should take precedent over state law. In this case, marijuana cultivation, distribution and possession remains illegal. However, Colorado was one of the first states to approve the growth and sale of the drug for recreational purposes. Currently, 23 states allow for access to medical marijuana. Although federal law remains unchanged, government officials have said they do not intend to pursue action against states, so long as regulatory frameworks are effective at keeping criminals from the process and minors from the supply chain. 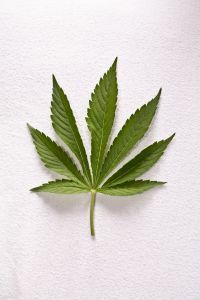 In response to the hotel chain’s lawsuit, the Marijuana Policy Project initiated a boycott, pointing out firstly the majority of Americans today desire an end to prohibition of marijuana. Businesses that are fighting that goal should not be patronized, the group argued. Those who support legal access to marijuana for adults should think twice before supporting a business that does not, the group said. Though the hotel chain has not backed off from its position, the MPP has roughly 200,000 email subscribers, and many other supporters. Colorado marijuana lawyers recognize the current statutes in place were designed to ensure safety within our communities by facilitating the sale of quality-controlled cannabis by licensed business that pay taxes, as opposed to underground, unregulated cartels and criminal operations. If the hotel chain were successful in its bid, the move would not likely be supported by voters, who overwhelmingly approved the use of recreational marijuana in 2012 (with marijuana first becoming available for recreation in the state in January 2014). Today, the marijuana industry in Colorado is estimated to be around $700 million. Of that, the state rakes in $60 million in fees and taxes. A good portion of that goes toward school renovation and construction. This last year, the state funneled $17 million from marijuana sales toward schools. That’s less than the $40 million the constitutional amendment promised, but the law is only in its first year. And it’s better than what the state was collecting on the drug before: Nothing. With more than a year passed since the implementation of the recreational marijuana law, there is no suggestion the residents regret ending prohibition.